After eight years in this Army life, you think I would have learned not to count my chickens before they’ve hatched. I suppose I needed a reminder. I got a message yesterday that said Andrew would not be coming home today, as planned- that they extended their time in the field. While it was a let down, I guess I wasn’t too surprised. “You’re not coming home? Roger that. I’ll put the steak into the freezer. 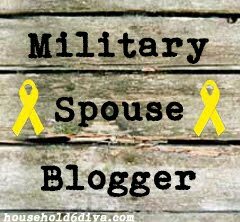 Keep calm and soldier on for just a little while longer.” As an Army wife, you really do get used to the delays, the changing timelines. It is a part of the life. You never know when Mother Army will decide she needs you husband more than you do. And she always gets what she wants. I’m sure most would say the easy solution would be to just sweep it under the rug. Pretend I hadn’t said anything at all about when he’d return. Stop mentioning how many more wake-ups. She’s just a baby. She wouldn’t understand anyway, right? But with Madeline, I’m not so sure. Although she hasn’t honed her verbal skills yet, she has an amazing grasp on aural language. She is an extremely tuned-in and empathetic little girl. And while she can’t express her concerns with words, her behavior speaks volumes. Clinginess, whininess, snuggling during the day, looking for just one more book at bedtime. This is a girl who is trying to fill in the gaps while her Dad is away. She may not be old enough to ask where he is or why, but I never want to leave her wondering. So I told her that he isn’t coming home today. He’ll be home soon though. It won’t be a long time. She furrowed her brow and looked me right in the eyes for a few seconds, and then she went back to playing. I left it at that. My heart broke a little for her then, but I know the moment he walks through the door she will bounce right back. That’s the best part about her being so young- she doesn’t resent him for being gone. She just accepts it. And when he’s home again, it’s like he never left. In the future, perhaps I’ll keep things a little more vague when he’s gone, so she doesn’t end up hurt if the plans change. But perhaps I won’t, because our little Army brat continues to prove how strong and adaptable she truly is. I went into her room first and rubbed her back telling her everything was okay. Then I got down to her level and told her, “Your Daddy’s home, Madeline. Do you want to see him?” She looked at me as if she couldn’t understand, as Andy walked into her room. “It’s your Daddy, Maddie! He’s home.” She went straight into his arms and put her head down on his shoulder. They fit together as they always have. He held her like that for a long time. The look on her face, as she rested in his arms, went from bewilderment to a little bit of sadness. I asked her if she wanted to look at her daddy. She came to me and stared into his eyes. I looked back and forth between them. Their similarities were so obvious in the darkened room. His eyes were her eyes, tired and understanding. They had both set their closed lips into a bashful smile. They were relieved. You could see it on their faces. The best buddies, back together. She went right back to sleep, as though nothing had changed. And this morning she was giggling with him at the changing table. She drank the most milk from her cup she ever has as she lay content in his arms on the couch. I looked at their matching expressions from over the counter as I washed last night’s dishes. Peaceful. He read her six books in a row and told her the names of the animals on her blocks. She put her pretend lipstick on him and laughed as he kissed her. Anything she did, she’d check over her shoulder, making sure he was watching. Watching her walk around the room. Watching her dance to her favorite songs. Watching her scoot around on her train. They wore the same look on their faces again this morning. Pride. The best buddies, father and daughter, my two favorites, back together. And happier than ever. Above is a CBS News piece on the 3rd Brigade Combat Team, 82nd Airborne Division. The brigade is training for missions involving chemical weapons in the hands of an enemy. This is our unit. These are our guys. Panthers. 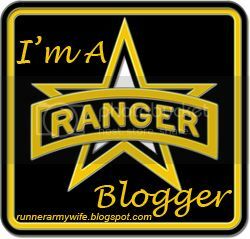 And I’m definitely feeling hooah after watching them! I’m proud of them. Proud of their expertise, their discipline and their training. But I’m also feeling a little bit shell shocked. Andrew has been away at training for more weeks than he’s been home this summer. “Daddy’s in the woods,” I tell Madeline (a phrase borrowed from another Army family). And I think, sometimes, that’s what I let myself believe, too. I picture Andrew laying in his mosquito net on the ground in the dark, eating a wheat snack bread from his MRE. But I never picture the actual training. I suppose I don’t have a detailed enough frame of reference. I just know the basics. Jump into the box. Seize the airfield. Set up a TOC. And then…they…are…in the woods. Etcetera. But this video of our soldiers reminds me of how real it is. They’re not just in the woods. They’re not just training. It’s not just another field problem. Our husbands and wives, fathers and mothers, sons and daughters, they’re readying themselves. And come October, as they assume a Global Response Force mission, they will be prepared to deploy anywhere in the world within 18 hours. They will jump into a hostile situation, should the order be given. My husband and his unit, under the command of incredibly competent and dedicated leaders, are making sure that when they go, if they go, they are ready for anything. This training will minimize mistakes. It will help them learn how to function as a team. It will help to ensure that when they go, if they go, everyone will come home. This time apart is not for naught.